I remember when I knew something was different about my cj but I couldn’t put my finger on it. I knew he was super sensitive to certain situations and surroundings, his reactions to certain things seemed abnormal, and his language and motor skills were quite delayed. And then I remember when I was told he had Sensory Processing Disorder. There was a name! There was an explanation (kinda sorta), and there were wonderful people to help us deal. CJ started going to therapy to help him as well as an AMAZING school where they were teaching him new things everyday and he was learning how to navigate through his unique little world. Ir was difficult somedays not knowing what to expect and trying to learn everything I could to help him. It was also difficult dealing with the “whispers” and sometimes “the looks” not only from strangers but those closest to me.I remember wondering if it would ever get easier and how I’d explain “SPD”, his difficulties, and all that was involved. Fast Forward a few years and CJ is THRIVING! He’s super smart, an avid book lover, a singer, an actor, and so much more! The little boy who may still struggle with pronunciation has a vocabulary that cracks me up sometimes and he amazes me everyday. You see, he has SPD, he’s not defined by it. He is constantly learning, growing, and though he has challenges at times, we keep it moving. I remember where he was, and I’m thankful for where he is today. He’s still doing well in school, continues making strides in therapy, and is super impressed with his book collection! He also reps for an awesome brand, Se7entees, that believes in spreading positivity with an edge! I love this shirt so much because it is a reminder that kids with all of their “special” traits and different characteristics are uniquely wonderful. We shouldn’t put them in categories or define them by their disorders, syndromes, or anything else! We should love them for who they are and be proud of them for who they are! I know I have my moments, but I’m definitely proud to be this little guy’s mom! For more information on Se7entees and their awesome tees, visit their website. Welp (takes deep breath in), here we go. Recently, I know many people have wondered about some of my posts on social media and just because I believe in being open and educating others, I’ve decided to write this post. After that day I started really noticing things a little more than what people call typical toddler behavior. We would go on play dates and he wouldn’t interact with and almost seemed to fear other children.There was a significant decline in his speech. My greedy child, began refusing several foods. He would obsess over bright lights,movement, the TV . I’d watch him run back and forth for an extended amount of time then crash into the walls, or stairs, etc. Bedtime which use to be a breeze, turned into my child getting up hysterical MULTIPLE times at night, sometimes wandering in the dark in tears. My child seemed to not only be super sensitive but completely devastated when he couldn’t communicate, or when he didn’t understand, which would cause him to bang his head on the wall, the floors, etc. I remember becoming the google freak and trying to figure out what was going on with him, and yet I found nothing. 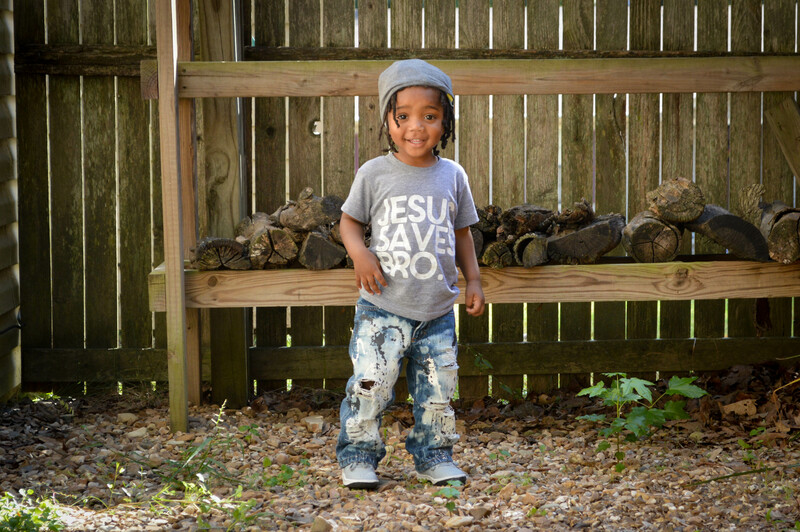 It wasn’t until Christian’s 2 year appointment where the doctor started asking me those key milestone questions. I found myself saying, “Well yes he does that, well wait, no, well wait…” And I remember eventually saying, “Doc, I’m not sure what’s going on but I have some concerns”, only to find out he had similar ones. I was given this ridiculous test (yes I find it ridiculous, that’s another whole rant), where my son’s scores showed some red flags, and the “A” word was brought up which left me as a flustered mom, but still with no answers. Then I was referred to a Pediatric Therapy Center (What a Godsend! ), and they gave me the answers I was looking for. They were so sweet with him, so patient, and after several evaluations, etc…, all the therapists had the same diagnosis. You see, my boy is Sensational (of course!) but to put it more blatantly, My son has Sensory Processing Disorder. Well, kids with SPD have trouble organizing and interpreting information received by their senses, which means they have extreme reactions to various sensations. Sometimes his reaction, although it makes no sense, is the reaction his brain is telling him to make. 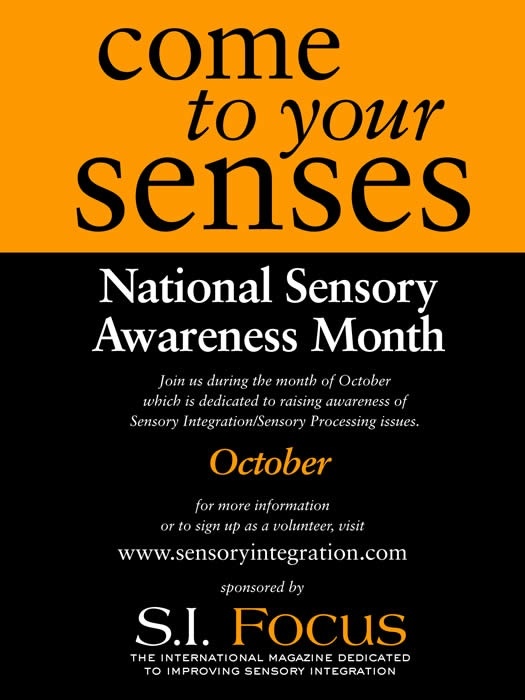 We are all constantly processing sensory everyday, but that’s just a little different for my little one. 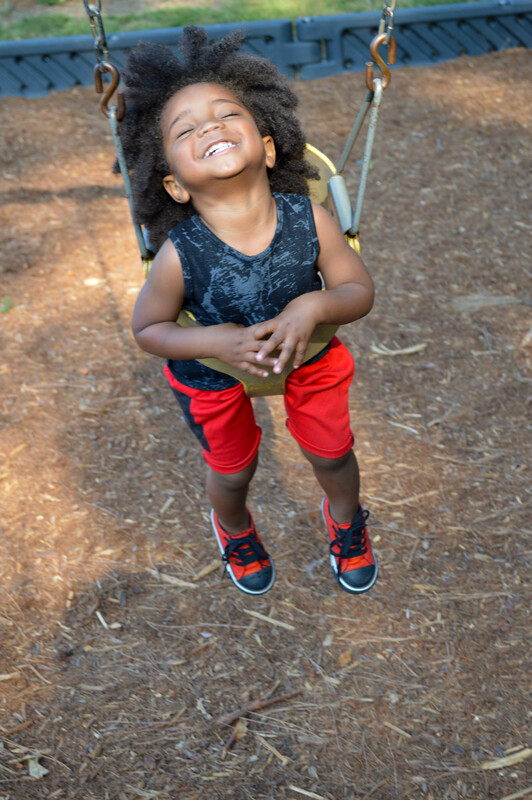 Christian, is what they call, a “seeker” which means he craves sensory interactions, and it is through those interactions he may be able to calm down and focus. I find the scary thing about having a seeker is that they will sometimes push the limit and do things that often seem dangerous to other children. Let me tell you this right here: You don’t realize the role and how your brain interprets your senses in everyday living, until you have a child with SPD. You don’t realize how much your life is affected by simple things, things like lighting, when your child freaks out because the lights are too low or not high enough at a restaurant or when your child refuses to eat certain foods because the feeling of them is causing problems. You also don’t realize how sweet the word “Mommy” is, until your child can’t say it even if they know that’s who you are. As his mother, I love him for who he is. I love him even if he freaks out over little things. I love him even when he refuses a new food and takes his socks and shoes off within seconds of having them on. I celebrate him for who he is as well as every accomplishment! Which means, I urge you strongly not to question my parenting skills when it comes to my child because I’m doing the very best that I can. I will let him run wild in a field where he feels free if that’s what he needs. If we walk in a room and there are too many people and he feels the need to lay on the floor, I will not only allow it, but I may even get on the floor with him. His father and I have decided to embrace the situation, and we will expose him to things so he can learn and grow. October is Sensory Awareness Month so I want to not only celebrate my precious little one, but all the other children out there dealing with SPD! Cj is currently in speech Therapy, and will be starting Occupational Therapy soon to help him learn how to self regulate. We are also looking to get him into a program where he will really get even more of the help he needs which has this mama super excited!!! I’m just trying to read and learn all I can about SPD and Christian’s father and I are doing everything we can to help our son! So that’s what we’ve been dealing with for the last few months.My heart goes out to the other parents of SPD kids. I know sometimes it gets hard, and you don’t know what to do, or you wonder if you are strong enough to do this, but guess what? You can do this. And you will. We are all in this together. I’m thankful for my loving friends and family who have been so supportive and caring during all of this! You know who you are! I’m also grateful for the support of a Private SPD Facebook Group and the other organizations out there working to find out more information on SPD!!! P.S.- If you see someone out with a child who seems to be what you call “bad” or “hyperactive” THINK before you give evil looks, etc.. This child may have SPD.